The Magic Garden near Battersea Park/Queenstown Road station should be on everyone's list of favourite pubs. Inside it has a student union feel to it but step outside and you discover an incredible garden covered by a circus-style roof complete with indoor furniture including thrones and sofas, tables tucked away in cosy corners and fairy-light lit walkways and trellises For colder evenings there is a chest full of blankets that anyone can dip into and a secret stash of hot water bottles that the bar staff control. Drinks are fairly unexciting but the food is very good. There is a stage indoors for live comedy and music (check ahead for events requiring paid entry) so it can get pretty busy, but I've never failed to get in. If you have never been, put it on your to do list. 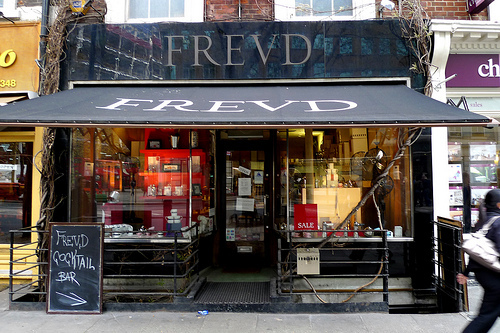 Freud Cafe Bar is a classic underground bar on Shaftesbury Avenue. If I was writing this blog in the 1980s (as a computer literate 3 year old) then I would be raving about it but these days underground bars are everywhere. However, it has survived for so long for a reason. The cocktails are cheap and fun, the atmosphere is buzzing, art exhibitions are held regularly, and it's also worth visiting for lunch. Head down the spiral staircase for a fun evening - it still gets very busy on Friday and Saturday nights! There are a lot of great pubs in London which I would need a separate blog to do justice to (Draft Houses, Craft Beer, Bricklayers Arms, The Harp, The Cross Keys, Cask, Simon the Tanner, Dean Swift, Bree Louise - just a few off the top of my head!) but one that should make the list is Ye Olde Cheshire Cheese in Fleet Street - not to be confused with the Cheshire Cheese down the road on Little Essex Street. It was rebuilt in 1667 during the reign of King Charles II after the Great Fire and has a maze of underground rooms to get lost in. There is not much natural light making it easy to lose track of time - a great, atmospheric pub. If you want more wine and less beer (or rather, no beer) but you still want the fun of the vaults then there is only one choice - Gordon's Wine Bar. 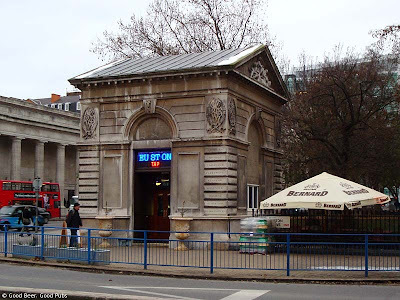 It is pretty bold not to serve anything other than wine and food but this family run bar situated near Embankment tube station is extremely popular. 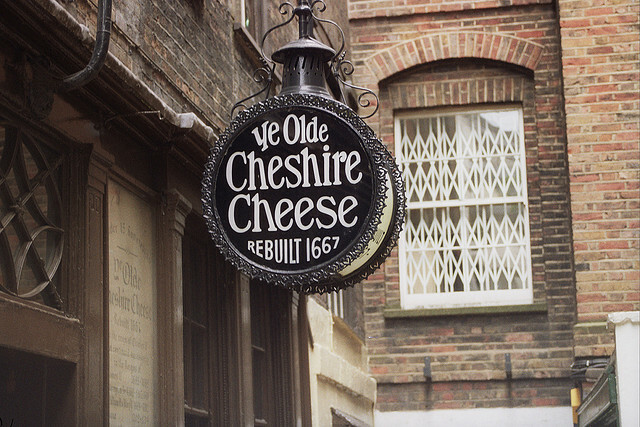 The building was home to Samuel Pepys in the 1680s before it was a bar. Angus Gordon set up the bar in 1890 and the bar is now run by Luis Gordon. Interestingly though, they are not related - it is just a coincidence! Another of my favourite pubs that I think deserves an extended mention is The Euston Tap (with The Cider Tap in the gatehouse opposite for cider fans). It must be one of the smallest pubs in London (though they have somehow managed to fit a second floor in this tiny Victorian gatehouse) but it would pull in the crowds wherever it was because of the fantastic beer selection. They save space by having the beer taps up on the wall, with descriptions for each one up on blackboards that change regularly, and bottled beer fridges accessible to the customers either side of the bar. I recommend arriving extra early for any train connection at Euston and spending some quality time inside The Euston Tap! Two more to go - both recent discoveries. 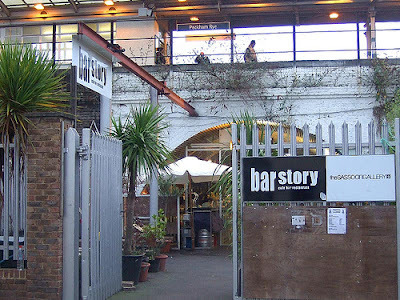 Bar Story is a hidden gem in Peckham Rye that serves up delicious, affordable cocktails with interesting, tasty pizzas on the side. My friend Jane takes the points for discovering this one after much searching for a bar that met her standards that were set high following a trip to Berlin. It's situated right underneath the train station in one of the arches with rumbling overheard trains adding to the great atmosphere. Go in summer for a couple of drinks before heading to Franks Cafe & Campari Bar on top of a multi-story carpark (!) round the corner. Last up is Brunswick House Cafe@Lassco near Vauxhall station. Credit goes to Mary for getting us to tick this one off. A welcome addition to the non-existent Vauxhall bar scene, Brunswick House Cafe has interesting cocktails, rare beers and wine, and nice food (according to reviews) but most noticeably has very bizarre decor. 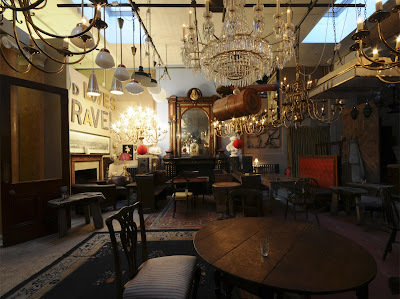 Lassco, an antique salvage company, has filled the Georgian Brunswick House with all sorts of strange objects and a lot of what you can see is for sale (including a huge dentist's light apparently). For a similar "buy what you see" experience coupled with a bar, head to The Shop NW10 where you can apparently buy everything that you see. That's it for now - I'll be writing again soon after trying out a couple of new places and heading to Feast (get your tickets!) at the weekend. 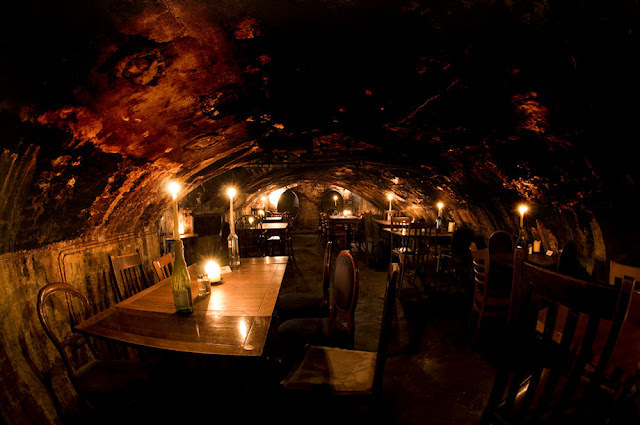 Continuing the underground pub/bar theme from Freud, Gordons and Ye Olde Cheshire Cheese, In The Beginning Was The End is a theatrical experience set in maze-like passages underneath Somerset House. It's meant to be very good and it finishes on 30th March. Thanks for reading all the way to the end!